The name coca does not refer to a single species, but to one of four plants in the Erythroxylaceae family. The plant is native to South America, and cultivated in several countries in the region. The coca plant can grow to a height of 3 meters. 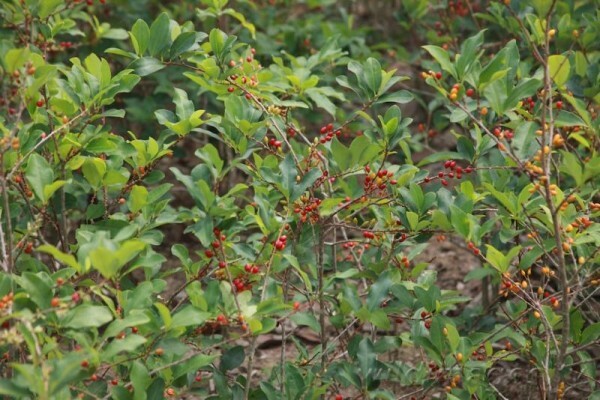 It has yellowish flowers and red berries. It is the leaves of the coca plant that are used for recreational purposes. Coca leaves have several traditional uses. There are several healing properties attributed to coca, some of which have been proven effective by clinical studies. Apart from its effects on the user, coca has been used in various religious rituals as well. The leaves – when they weren’t chewed or made into tea – were often used for divinations, as one would read the future from tea leaves. Coca leaves contain several alkaloids, of which the main active ingredient is cocaine. Its refined form, which is generally meant by the name cocaine is consumed nasally. Coca leaves, on the other hand, are generally chewed or brewed into a tea. The onset of the effects of coca leaves is somewhat slower than with cocaine. Coca leaves are generally consumed to achieve effects similar to those of cocaine, though milder. Coca leaves act as a stimulant suppressing fatigue as well as pain and hunger. In most countries, outside of South America, coca leaves are affected by the same laws as cocaine. Cocaine is generally considered a controlled substance. Cocaine has several medical uses, which is acknowledged by many countries. A distinction can be made between countries where cocaine is completely banned and where only recreational use is illegal, medical is not. This entry is mainly about the recreational use of coca leaves. If you are looking to use cocaine for medical reasons, please consult the appropriate laws and your general practitioner. Possession and consumption of coca leaves is decriminalised and tolerated in several countries. However, sale of the plant is only fully legal in a handful of South American countries. However I did find a South American place that sells coca leaves online and ships to the US (even though it’s illegal?!?) and to Europe as well. Keep in mind, this is clearly illegal and I have no idea how this online shop is not yet prosecuted. Order at your own risk! Evidence for the first use of coca were found in 3000 year-old mummies, though there are claims of even older remains. The indigenous tribes of South America attributed divine origins to the coca plant. According to one myth, the first coca plant grew from the body of Cocomama, the goddess of health and joy. Coca leaves were used for divinations, similarly to reading from tea leaves. The sacred leaves were used in religious rituals, as well as recreationally, at social events such as weddings. Coca leaves were popularised outside of South America through a paper by Dr. Paolo Montegazza. Various concoctions containing cocaine were advertised and sold, touting (often unfounded) health benefits. Along with “coca wine”, a widely popular drink was also prepared with coca leaves; Coca-Cola. Coca-Cola actually used to contain the alkaloid cocaine. Today, however, the coca flavouring used in the creation is decocainized. Coca leaves contain several alkaloids, of which cocaine is considered the main active ingredient. Leaves of the coca plant contain on average 0,8% cocaine, though this can range from 0,3% to 1,5%. The alkaloid cocaine has been studied thoroughly. It exerts its effects mainly through binding to dopamine transporters, thereby preventing dopamine from being “recycled”, causing it to accumulate. Cocaine also affects serotonin receptors in a similar way. The alkaloid inhibits the reuptake of 5-HT3, though how exactly this causes the effects is yet unclear. The traditional method of chewing coca leaves (read on for methods of consumption) actually involves keeping the leaves in one’s mouth. This allows for a crude “extraction” of the alkaloids in the plant through the mucous membrane of the mouth. This method means that the absorbed substances include not only cocaine; also the consumable amount is limited compared to purified cocaine. This is what causes the milder effects of the coca leaves. Coca leaves are generally consumed for their stimulating effect. The alkaloids in the leaves suppress fatigue, hunger, thirst and pain as well. Coca leaves may also cause euphoria, though not nearly to the extent purified cocaine does. 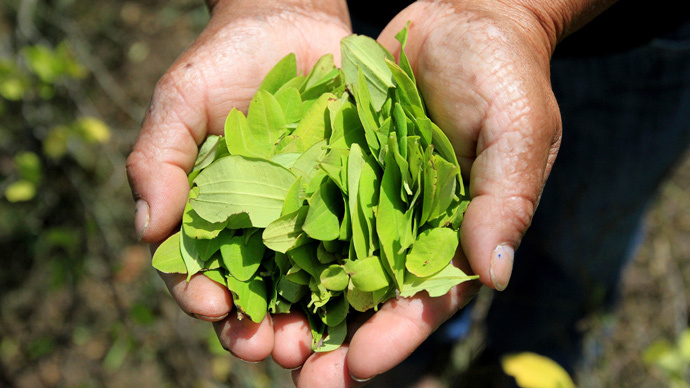 Coca leaves, while milder in effects, also present less dangers and risks than cocaine does. Coca leaves do not cause a physiological dependence, though psychological is always a possibility, depending on the user. Coca is a stimulant, which means it causes elevated heart rate and high blood pressure. Consuming coca leaves has a chance to lead to a heart attack or stroke. Those with high blood pressure, tachycardia or a history of strokes should refrain from using coca. Long-term side effects of coca tea use are relatively under-researched. So far there have been practically no reports of negative effects caused by long-term use (not cocaine! coca tea). Chewing coca leaves does cause bad breath, and other substances used along with the leaves may damage the mucous membrane of the mouth. It should also be noted, that while coca leaves are consumed for their suppression of hunger and fatigue, this may also pose risks. Forgetting to eat can cause low blood sugar, which is especially dangerous for those with diabetes. As with all drugs, caution should be exercised when taking two substances with similar effects. Coca is a stimulant causing high blood pressure, and using it in combination with similar medicines or botanicals may significantly increase the risk of heart attack and stroke. Coca leaves have been used for medicinal purposes for thousands of years. Coca leaves are chewed in the Andes to help with altitude sickness. The alkaloids in the coca plant suppress pain and fatigue, making it an effective pain reliever. This effect is also observable when the substance is applied topically, alleviating the pain of bone fractures and arthritis. As previously mentioned, coca leaves do not cause physical addiction. This has made it possible to use coca as a means to treat cocaine addicts. The traditional way to consume coca leaves, or rather the alkaloids from the plant, is by chewing. However, this expression is not precise, as the method involves very little chewing, and more sucking on the leaves. First, the freshly dried leaves are gently chewed to wet them with saliva and form a small ball of them. 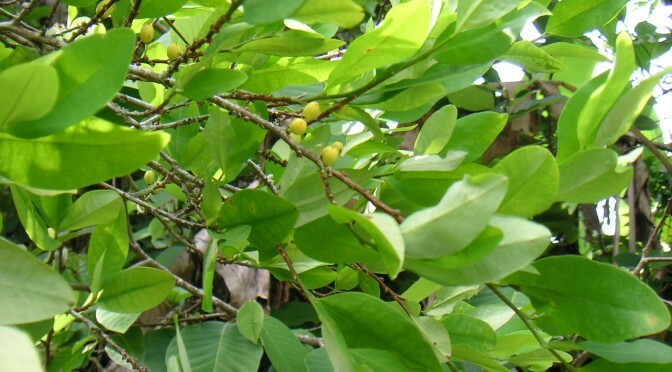 (The veins of the leaves can be removed to prevent damage to the mouth.) The recommended dosage is pretty much the amount of leaves that fits comfortably in the mouth, reported to be between 3-7 grams per session. The ball is kept between the gum and the cheek, but at this point, the saliva does not extract the alkaloids yet. For this purpose an alkaline agent such as edible lime or baking soda is added. The onset of the effects takes about 20 minutes, and lasts up to one hour. There have been practically no reported after effects. Sore feelings in the mouth are caused not by the coca leaves themselves, but by the basifying agent (lime). The other popular way to consume coca leaves, aside from chewing, is in the form of coca tea. The tea can be prepared by using fresh leaves, or by ground seeds in a teabag. The taste and smell of the brew is generally considered to be pleasant, similar to that of green tea. The stimulating effects of coca tea are weaker than one may experience by chewing the leaves. The tea is generally consumed not as a recreational substance, but for its healing properties. Coca tea is reported to alleviate pain and help with gastrointestinal problems. The following are online reports of ordinary people who have tried chewing coca leaves or coca tea. “The tea bags smell very much like green tea, or more specifically, like the roasted form of green tea known in Japanese as hoji-cha. The smell is somewhat rounder and less tannic than hoji-cha, however. After steeping, the tea has a dark greenish brown color. I gave the tea a taste, its not particularly good so I add sugar and some cream. I began to notice the effects by the time I’d finished half the cup, and it developed slowly, reaching its peak a few minutes after finishing the cup. Its a very mild and subtle energized feeling, about as stimulating as a cup of coffee. There is a nice warm feeling that spreads through your body. There is a happy and content feeling from it, but nothing at all like the ego-inflated euphoria of snorting cocaine. Coca leaves is only one of the legal highs included in Simon’s legal high guide, check out the others as well. A guide detailing the properties, effects and legal status of coca leaves, includ experience reports as well. Hello, Where can I buy this coca leaves bcos I need to drink it in tea form. I have muscles pain n fatigue bcos of fatty liver. Hope to hear from u soon. Thank u!